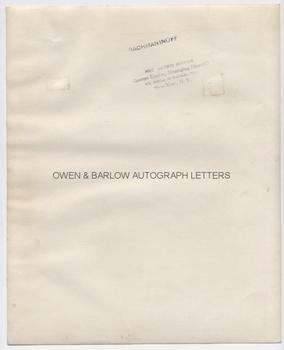 Photograph signed S. Rachmaninoff in western script and dated 1936. Approx 8 x 10 inches (20 x 25.5 cms). With the stamp of George Engles, managing director of NBC Artist's Services, New York on verso. 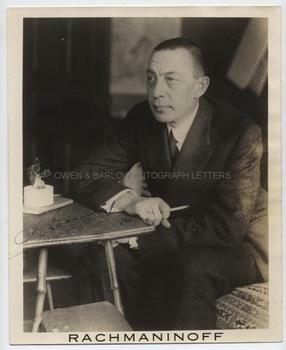 A pleasing image of Rachmaninoff seated at a table with pencil in his hand. Slight mounting traces to verso, else in fine condition.